The Society has a number of publications which are sent to members as part of the benefits of membership. Some are available for sale, subject to stock, or to order. The Wanderer is published four times a year, in February, May, August and October, and is posted to all members. 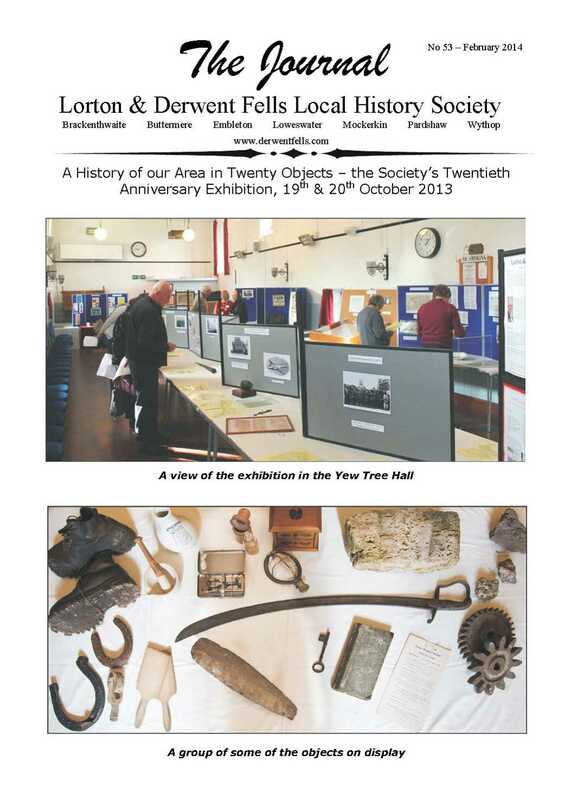 It contains news and information about the Society and membership, activities and relevant local history issues. It now contains short articles on the local history of our area. The latest issue is available as a PDF (click the image above). The Wanderer is archived from the start of 2018. The booklet They lie in Foreign Fields was published by the Society in October 2018. 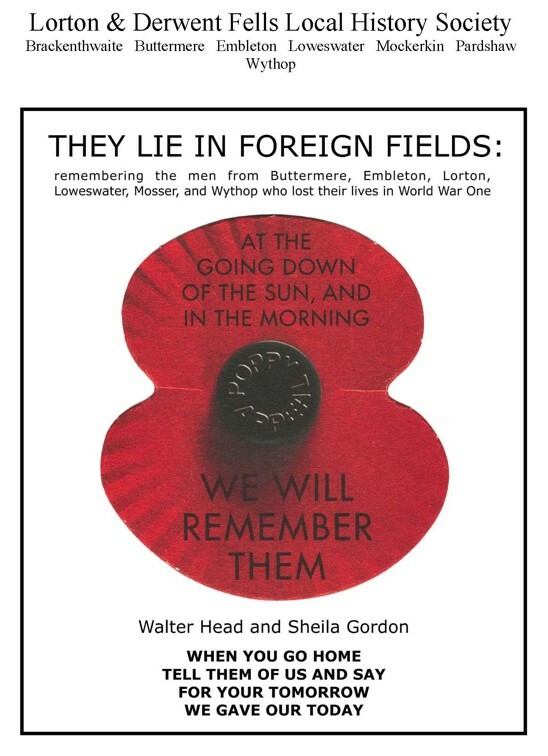 Authored by Walter Head and Sheila Gordon, this booklet gives the personal histories of all the men who died in World War One and are remembered on the war memorials within the area covered by the Society. The booklet is not for sale, but a copy may be downloaded for personal use as a PDF (click the image above). The Society provides the Greenwood county maps of Cumberland and Westmorland on this site to examine and download at the original scale. These maps were surveyed in 1821-3 at one inch to the mile. This edition is the second, from 1844, with the railways overlaid. Click the image above to go to the Greenwood page. The Journal, formerly the Newsletter, was published twice a year up to 2017, and all sixty issues are available on this website. 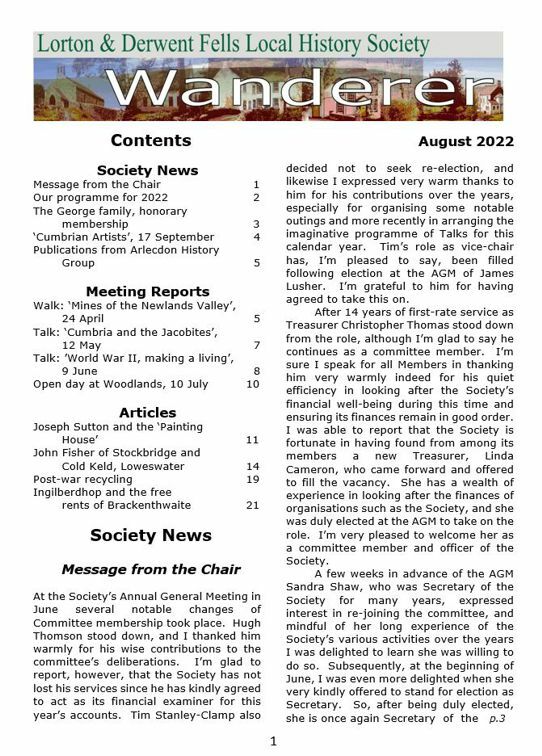 It contains articles related to the history of our area, or of general interest, mostly written by members of the Society. Click the image above for access to archived copies. 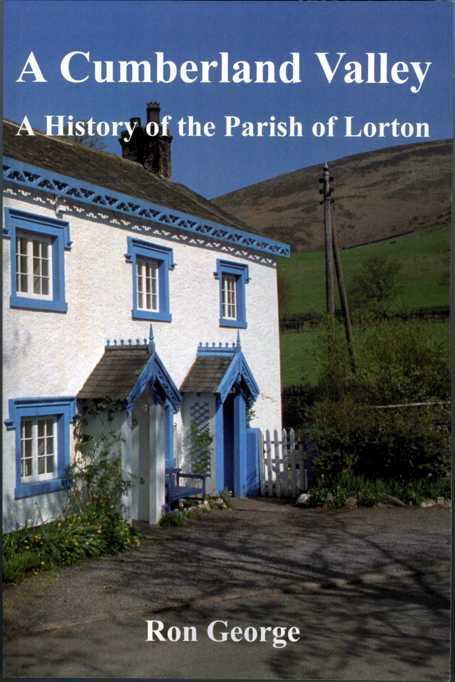 A Cumberland Valley is a history by the late founder of the society, published in 2003, and covering the parochial chapelry of Lorton. This included Brackenthwaite, Buttermere and Wythop. From the earliest time to the twentieth century. Available from the Society at £12.95 plus £1 p&p. Click the image above to see the front matter of the book. 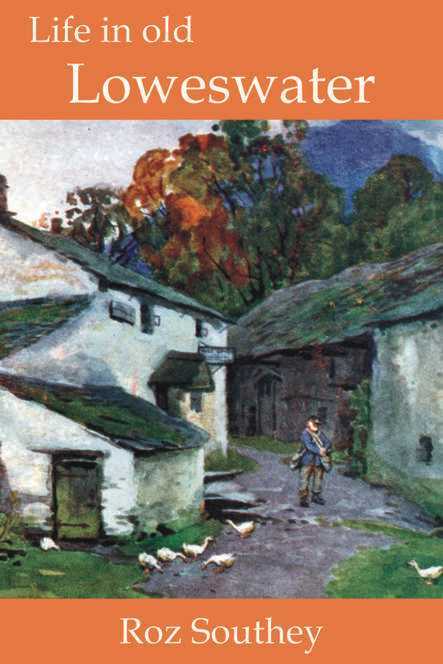 Life in Old Loweswater is a series of historical sketches originally published by Roz in the 1970s and 1980s but now published in book form with additional material and illustrations. Published by the Society in 2008 and available from the Society at £8.95 plus £1 p&p within the UK. Click the image above to see the front matter of the book. 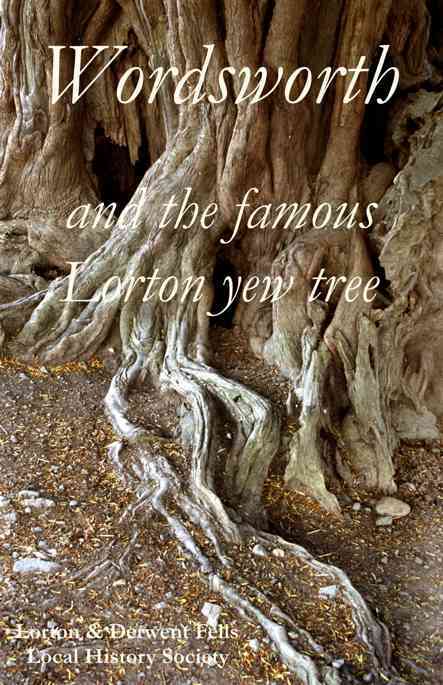 This book was published by the Society in 2004 to commemorate the visit to the tree by William and Dorothy Wordsworth in 1804, in connection with the poem 'Yew-trees'. The long history of the ancient tree is traced and supported by many noteworthy contributors. Now out of print. Click the image to see the front matter of the book. The Township Maps were created by society members for our tenth anniversary exhibition in 2003. 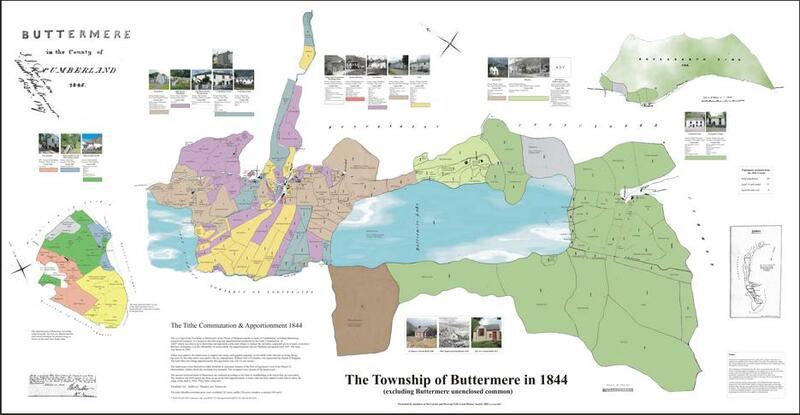 They are available on this site as display maps of six local townships around 1840, Buttermere, Brackenthwaite, Embleton, Lorton, Loweswater and Whinfell, showing all farms and fields, other properties, ownerships and all those resident in 1841. Click the image above to go to the Township Maps page. The Society organises occasional walks within its area, with a historical theme. This walk in Loweswater from 2010 can be downloaded and followed, but keep to footpaths and be properly prepared. The Society cannot be responsible for your safety.